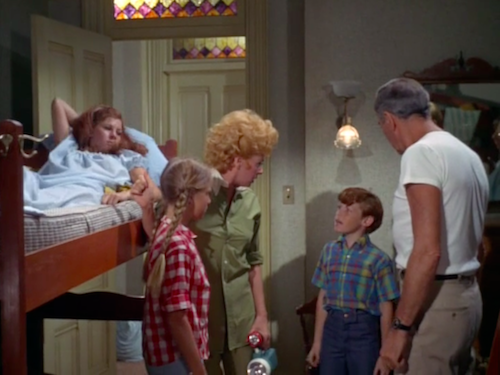 Genre Legends in Other Mediums: Kimberly Beck in Yours, Mine and Ours! According to various published reports – Big Gay Horror Fan was cute as a child. Of course, this has never been truly confirmed. There is proof positive that genre goddess Kimberly Beck (Friday the 13th: The Final Chapter, Nightmare at Noon, Massacre at Central High, In the Deep Woods) was adorable as a kid, though. 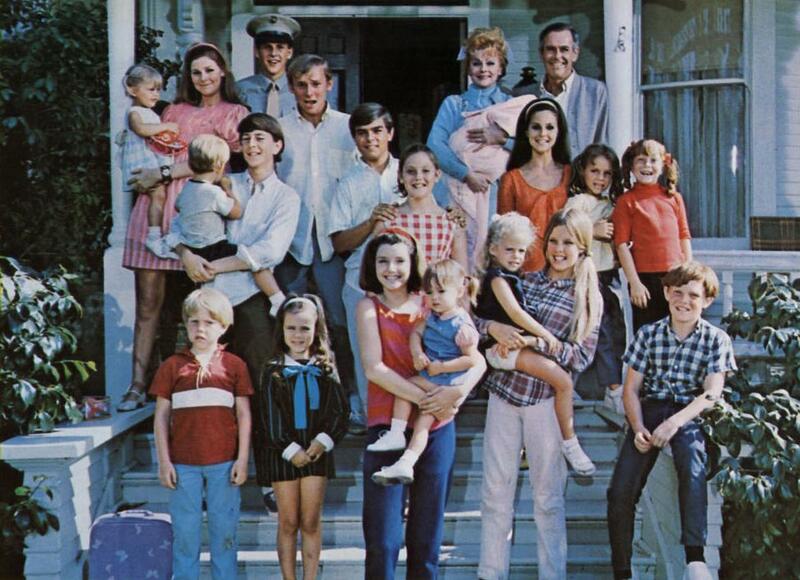 All you have to do is check out her winning performance as Janette North in popular 1968 comedy Yours, Mine and Ours. 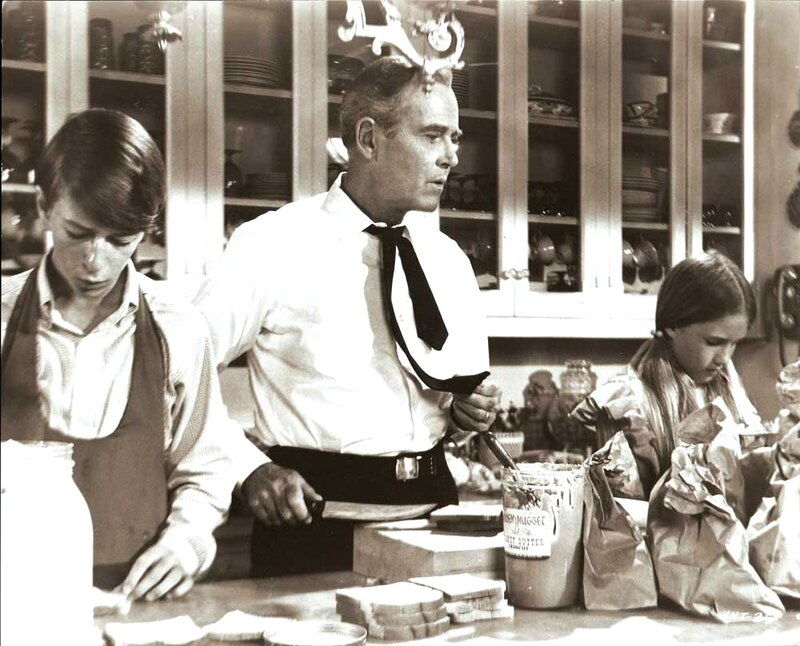 Remade in 2005 with Dennis Quaid and Rene Russo, this frothy family adventure starred icons Henry Fonda and Lucille Ball as a naval couple, whose marriage combines their respective offspring making for a huge family unit of 18 siblings – (7 boys and 11 girls). Of course, there is much tumultuous mayhem and discord among the children until Ball’s unexpected pregnancy forges them all together in one solid bond. Granted, with a bevy of youngsters –including (then 18 year old) Tim Matheson (Impulse, Buried Alive, Sometimes They Come Back, Wolf Lake), Suzanne Cupito (AKA Morgan Brittany of Dallas fame – and Death Car on the Freeway, Sundown: The Vampire in Retreat), Eric Shea (The Poseidon Adventure) and Tracy Nelson (Fangs, Killer Bees!, The Perfect Tenant) all fighting for attention– there isn’t much screen time to go around. But, Beck manages a few fun moments. Whether she is helping Ball prepare for her first date with Fonda, complaining about lack of phone privacy, engaging in a pillow fight with her newly found stepbrothers or helping make sandwiches for her numerous siblings – she is always charming and engaging here. You can like the Facebook page for Yours, Mine and Ours at: http://www.facebook.com/#!/pages/Yours-Mine-and-Ours-1968/189233064441901?fref=ts and the Fan Page for the beyond amazing Beck is http://www.facebook.com/#!/kimberlybeckfans?fref=ts! Big Gay Horror Fan, meanwhile, is always paying homage to the originals at http://www.facebook.com/#!/BigGayHorrorFan, as well.